The Ruthin Vale of Clwyd Tennis Tournament takes place every year at Ruthin Tennis Club. 2018 was a great year again with lots of competitors coming from all over the country to compete. The event started with our U14 Boys taking to the court. A tough competition with some close battles finished with Mathew Weaver from Shropshire as the winner and David Toma from South Ribble taking the Runner up position. 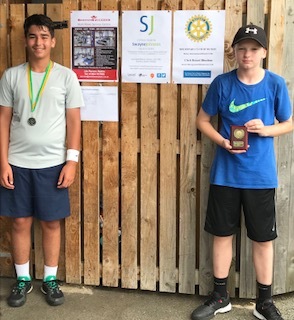 The u12 and U16 boys took place on the Thursday of the event followed by the Mens's Singles. 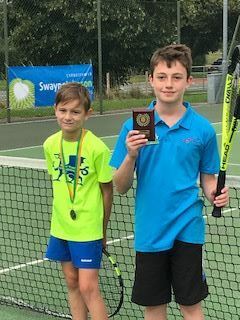 After a long day of some fantastic tennis it was great to see a local boy from Denbigh, Andrew Thompson taking the u12 title with Brennan Foster from Wigan taking the Runner up spot. 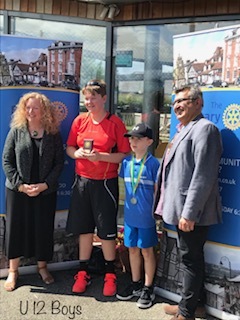 Thank you to The Rotary Club Ruthin for not only sponsoring the event but comming down to make the u12 Boys presentation. 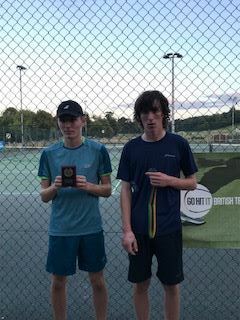 The u16 was agin a closely fought battle with Sean Chandler of Campion Tennis Club, Liverpool taking the title from Anthony Angranovsky from Coventry. The Men's competition was played in great sprit with some very high standard tennis bening played. The number 1 seed Sean Drury from the Isle of Man was knocked out in the Semi Final to the eventual winner Sam Thompson from Wrexham. Sam went on to beat Seb Birchall from Rhos On sea in a very close 3rd set tie break. Friday was Mini tennis Day with the U10 and U9 events taking place at the club. The u10 was won by Tom Bird from Rhos on Sea beating Christian Wrathall of Wrexham in the final. 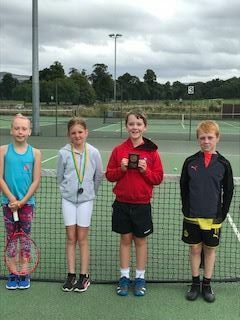 The event was finished nicely with the u9 event where Ewan Thompson of Denbigh beat Grace Richardson of Blaydon Tennis Club in the final. Great to see competitors from Arfon and Mold in this event. 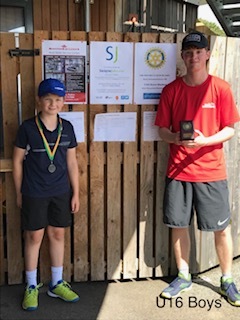 The event was a huge success and Ruthin Tennis Club would like to thank our local sponsors The Rotary Club, Ruthin, Swayne Johnson Solicitors, Ruthin and Redstone Subaru Service Centre, Ruthin for supporting such a great event.